It’s Tuesday, so you know what that means—it’s time to talk shoes. Today’s topic? 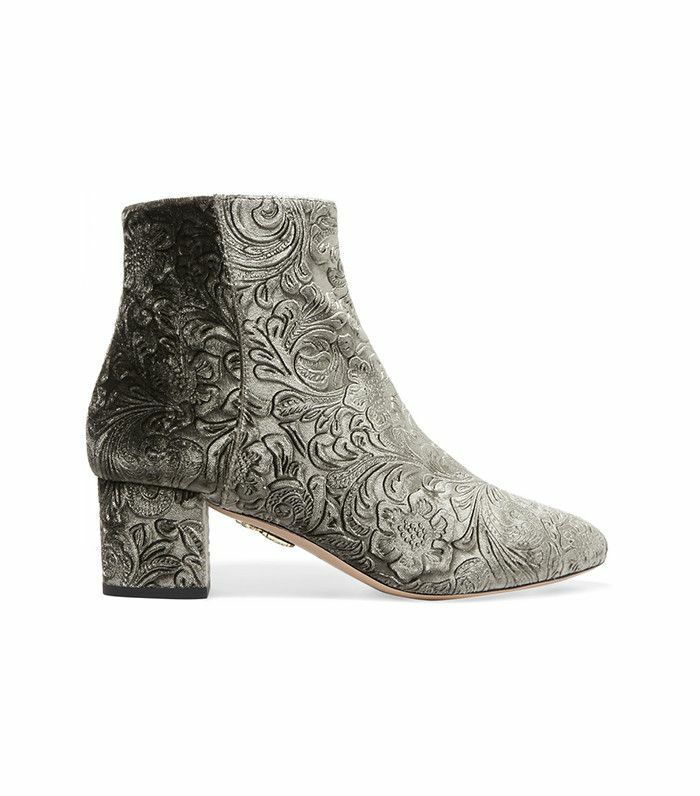 The most stylish velvet ankle boots. To enable (and honor) our love for footwear, we’ve dedicated a weekly post to highlight and share our must-have picks! Be sure to come back every Tuesday to check out the week’s featured style and shop the shoes sure to keep your wardrobe fresh and covetable. Velvet is one—if not, the—biggest trend for fall. So to ensure your shoe collection is set for the new season, we've shopped the best velvet ankle boots. From luxe colors to detailed prints, each pair has a truly elevated feel. The textured material adds an updated touch to a classic shoe style. Shop our favorite velvet ankle boots below! Looking to add more of the soft stuff to your wardrobe this fall? Shop our top velvet clothing and accessory picks.